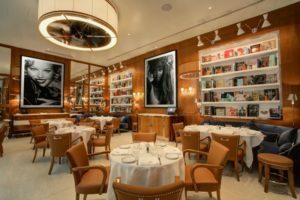 CIPRIANI NOW OPEN INSIDE NEW WYNN PLAZA SHOPS: Italian restaurant Cipriani Las Vegas opened this month in Wynn Plaza Shops at Wynn providing a true taste of Venice with Cipriani’s Bellini, created in 1948 by Giuseppe Cipriani Sr. at the original location, Harry’s Bar. This is the brand’s first West Coast location. Known for classic glamour, Florentine architect Michele Bonan designed the restaurant featuring a nautical feel, glossy walnut and chrome accents and terrazzo floors. On the walls are photographs of models including Cindy Crawford, Claudia Schiffer and Naomi Campbell shot by Marco Glaviano. The restaurant has a separate private dining area perfect for intimate affairs. VAN MORRISON WILL RETURN FOR FIVE SHOWS AT CAESARS PALACE: Singer-composer Van Morrison will be returning to The Colosseum at Caesars Palace for a five-night engagement in 2019. The British R&B superstar is scheduled Friday, Jan. 25 through Saturday, Feb. 2. Tickets start at $59.50. This has been a significant year in Morrison’s career, marking 50 years since the release of the iconic “Astral Weeks” album in 1968. Morrison continues to work on new material, including his latest album, “You’re Driving Me Crazy,” a musical collaboration with Hammond organ virtuoso and trumpet master Joey DeFrancesco, which was released last April. 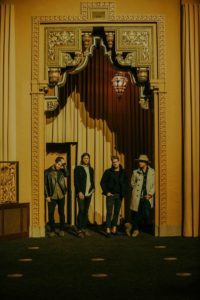 NEEDTOBREATHE WILL VISIT THE PALMS: Southern four-piece rock band Needtobreathe in support of their first-ever acoustic live Atlantic Records album, “Acoustic Live Vol. 1,” will perform at The Pearl at the Palms on Saturday, April 6 at 8 p.m. with special guest, Sean McConnell joining the band on this date. The band fronted by the Rinehart brothers put on an impressive and stirring live show. Tickets start at $34.95 with one dollar from every ticket going to the band’s partnership with OneWorld Health to provide sustainable healthcare to regions in East Africa and Central America. The group’s new album is a 12-song collection self-recorded last year across the band’s first-ever fully acoustic tour and features commentary between tracks. Other acts lined up in 2019 at The Palms include Billy Idol, Lady Antebellum and STYX. THE POLICE CHASE IS NEW: That dream of experiencing a police high-speed pursuit is now a reality with a new business Police Chase Las Vegas. The company is the only provider of police pursuit and intervention driving tactics available to the general public in the United States. Guests experience driving an actual police car or getaway car in a lights and siren pursuit. Participants can also attempt pit maneuvers. The adrenaline pumping experiences take place at Las Vegas Motor Speedway. TREASURE ISLAND UNVEILS GOLDEN CIRCLE SPORTS BAR: Golden Circle Sports Bar located off the casino floor opened at Treasure Island offering food, drinks and a viewing and betting experience for sports followers. The new 140-seat eatery and bar has a giant 24’x5’ video wall and convenient sports betting kiosks onsite. There’s a full bar with 20 beers on tap. Daily hours of operation are 11 a.m. to closing. The space features a variety of sports bar memorabilia from Treasure Island owner Phil Ruffin’s personal collection, including artwork and photographs depicting sports legends like Joe Lewis, and boxing gloves signed by Muhammad Ali and Jake LaMotta.Treasure Island has added several food and beverage expansions, including the recently opened Corner Market Buffet and Richie’s SUB Shop near the Race and Sports Book. ALEXIS PARK PEGASUS SHOWROOM REOPENS WITH TWO NEW SHOWS: The Alexis Park Hotel and Admit.VIP, which also operates the Night Owl Showroom at Hooters, are partnering for the reopening of the Pegasus Showroom and launching of two new shows in the venue: “Martini’s and Magic” starring Naathan Phan and “The Comics Battle” featuring John Hilder. The Pegasus showroom is opening with two new shows. “The Comics Battle” opens Nov. 29 and will run Thursdays-Sundays at 9 p.m. It’s a new fast-paced stand-up comedy show and battle of the wits. John Hilder plays host and referee judging this unbridled joke joust with two sets of comics pitted against each other in four bouts of back and forth by audience selected categories. The show secures no two shows are the same. Tickets are $39.95 to $44.95. 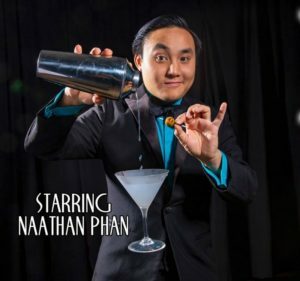 “Martinis & Magic” starring Naathan Phan opens Sunday Dec. 2 and will run Sundays-Thursdays at 7 p.m. This is an hour-long show consisting of magic, comedy, singing, impressions, improvisation, and theatrical storytelling starring Phan and his cast of characters. Phan has been featured on shows like “Masters of Illusion,” “America’s Got Talent,” “Wizard Wars,” and “Penn and Teller: Fool Us,” and more. Tickets are $44.95 to $54.95. JAMES D. GISH AND SUSAN ANTON BRING HOLIDAY MUSIC TO LIBRARIES: It’s always exciting to witness a performer before they really get discovered. I got to see Al Jarreau and LeAnne Rimes before they made it big and even went to college with actress Lynne Thigpen. For each, their incredible talent was obvious. Sometimes you just know. This past week when “Cocktail Cabaret,” a must-see show, reopened at Caesars Palace. 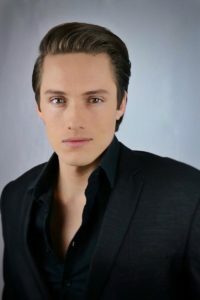 James D. Gish was in the rotating cast in the position Daniel Emmet from this season’s “America’s Got Talent” played. The classical-crossover tenor will be appearing again at two local libraries with his “Home for the Holidays” show and his special guest Susan Anton, who is a personal fan of the emerging star. Gish will be performing on Friday, Dec. 7 at 7:30 p.m. at the Summerlin Library and Sunday, Dec. 9 at 2 p.m. at the Clark County Library. The shows are free. Gish has already performed in approximately 400 shows and in January will star as Bob Gaudio in “Jersey Boys” at the Phoenix Theatre. Last year, he released his debut EP, “So In Love,” which was recorded in Nashville at Warner Bros. Studios. SAM’S TOWN IS AGLOW WITH ANNUAL WINTER WONDERLAND DISPLAY: Sam’s Town is once again hosting its Winter Wonderland display at Mystic Falls Park® through Jan. 1. For more than 20 years, the giant indoor atrium has been turned into a fabulous whimsical winter dream scene with snow-covered trees, garland streamers, wreath-adorned lampposts, and festive decorations. There’s even a glimpse inside Santa’s workshop, from elves making toys to loading Santa’s sleigh. The attraction’s centerpiece is a free laser light show, featuring classic holiday songs and snow falling throughout the park. Santa also joins in the festivities with regular visits throughout the season. NEW RESTAURANTS AT PALAZZO AND VENETIAN: In December Mott 32 will debut its first restaurant in the United States when it opens on the casino floor at The Palazzo celebrating Hong Kong’s culture and culinary traditions. Renowned award-winning interior designer Joyce Wang’s different design pays tribute to Las Vegas’ history by showcasing dining tables made from vintage roulette wheels, a chandelier adorned with a feather boa, neon signs, and more. Mott 32’s farm-to-table cooking style is led by Group Executive Chef Man-Sing Lee, a two-Michelin star chef in his previous role, and Vegas-based Head Chef Alan Ji. 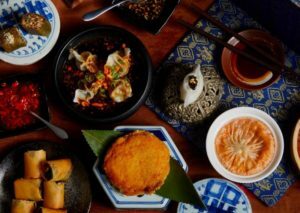 The culinary team will showcase the Cantonese, Szechuan, and Beijing cultures and highlight signature dishes such as applewood roasted Peking Duck. The Factory Kitchen, an authentic Italian restaurant from Los Angeles, will premiere at The Venetian on Dec. 28 and be open for lunch and dinner. Matteo Ferdinandi, CEO of FactoryPlaceHospitalityGroup, and longtime friend and partner Chef Angelo Auriana, will be presenting traditional recipes from their Italian upbringing, which they brought to America. The approachable menu highlights the simplicity of traditional local recipes and uses fresh, seasonal and locally sourced ingredients. ORLEANS SHOWROOM FEATURES HOLIDAY ENTERTAINMENT: In December the Orleans Showroom will highlight holiday shows “Home for Christmas with Lani Misalucha” and “Merry Christmas Darling: Carpenters’ Christmas,” as well as swing revival group Big Bad Voodoo Daddy. “Home for Christmas with Lani Misalucha” will take place Saturday, Dec. 8 at 7 p.m. Misalucha was born into a musical family with opera singers as parents and her own cascading soprano voice led her to become a professional vocalist. Tickets start at $68.81. 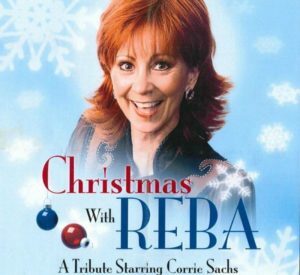 On Friday, Dec. 21, “Merry Christmas Darling: Carpenters’ Christmas” will be center stage starring songstress Michelle Berting Brett paying tribute to classic Carpenters’ Christmas recordings with an equal complement of their biggest hit songs. Berting Brett will appear with her seven-piece Nashville band. Tickets for the 8 p.m. show start at $19.95. 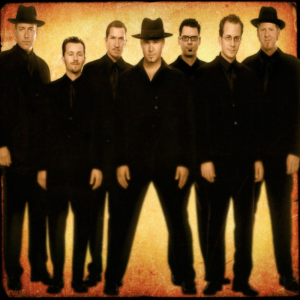 This year, marking their 25th anniversary, swing revival group Big Bad Voodoo Daddy will headline on Saturday, Dec. 29 at 8 p.m. Big Bad Voodoo Daddy appeared on the music scene in 1993 with a legendary residency at the Brown Derby Nightclub in Los Angeles. The group skyrocketed to fame after featuring songs “You & Me & the Bottle Make 3 Tonight (Baby)” and “Go Daddy-O” in the 1996 indie film “Swingers,” starring Vince Vaughn and Jon Favreau. Tickets start at $29.95. BEER PARK HOSTS A HOLIDAY SKI PARTY: Beer Park at Paris is holding a totally 80s holiday ski party starting at 5 p.m. on Saturday, Dec. 8. The mood will be set with a hot chocolate bar, limited-time stout beer flight, electric tableside s’mores, shot skis, Santa Claus photo opportunities, karaoke and more. There will also be a chance to win one of 10 lift passes and rental vouchers for the 2018-2019 winter season at local Lee Canyon Ski Resort. 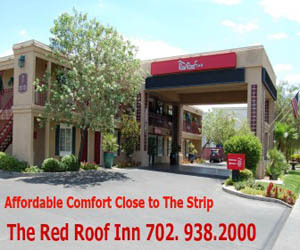 Package pricing and reservations available by calling 702-444-4500 or go online. 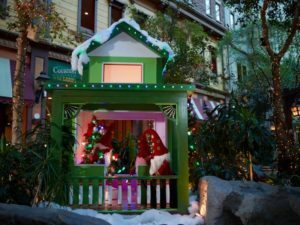 Downtown Container Park is hosting Brunch with Santa on Saturdays, Dec. 1 and 8 from 10 a.m. to 1 p.m. Event includes a photo with Santa, decorating a holiday cookie, making hot chocolate and taking home your own ornament. Cost is $15 for kids 12 and under, and for 21 and older all-you-can-drink mimosas for $15. An all-you-can-eat breakfast is $35. An Ugly Sweater Holiday Party is being held on Wednesday, Dec. 5 from 5-7 p.m. to benefit Dress for Success Southern Nevada at Tommy Rocker’s at 4275 Dean Martin Drive. Tickets are $30 online, which includes one drink coupon, hors d’oeuvres, and cash prizes totaling $1,000 donated by Max Pawn for the worst holiday sweaters. Raffle tickets are $5 or six for $20. “X1075’s Holiday Havoc Night Two” presented by Dollar Loan Center will return to the Pearl Concert Theater at the Palms Thursday, Dec. 6 at 6 p.m. This year’s lineup features 311, with special guests Young the Giant, Iration, Dreamers and Barns Courtney. Tickets start at $40. At Topgolf, The Toyota Yard will feature a free performance by horn-driven soul band, The Soul Juice Band from Las Vegas, with gritty lead vocalist Dave Tatlock on Friday, Nov. 30 at 8 p.m. On Saturday, Dec. 1 at 8 p.m. singer Logan Mize from Kansas will perform. Mize released his third album in 2017, “Come Back Home.” Tickets are $15 in advance, $18 day of show. “Human Nature” starring the singing foursome from Australia at The Venetian is dark Dec. 1-27. Ferraro’s Italian Restaurant & Wine Bar will celebrate the white truffle season on Friday, Nov. 30 at 6:30 p.m. in place of the monthly November Taste & Learn event. Cost is $250. Boteco at 9500 S. Eastern Ave. Suite 170 will hold a truffle tasing menu on Thursday, Dec. 6. Cost is $65. The lululemon store, which sells technical clothing for yoga, running, and most other sweaty pursuits, is now open at Miracle Mile Shops at Planet Hollywood. 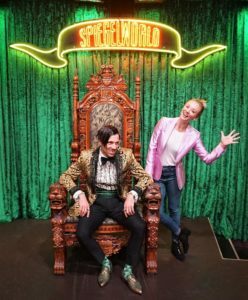 On a Friday night mid-November, actress Kaley Cuoco from “The Big Bang Theory,” attended the hit show “Absinthe” at Caesars Palace. After the show, she visited with The Gazillionaire. CASABLANCA SHOWROOM IN MESQUITE HAS MANY TRIBUTE SHOWS: Mesquite, Nev., on the border to Utah is about an hour-and-a-half drive from Las Vegas. The showroom at the CasaBlanca Hotel seats about 475 and attracts many headlining acts from Las Vegas. While the lineup in December is mainly tribute acts, they are among the best. The bonus is most show tickets start around $15. The lineup will feature “American Trilogy Holiday” Nov. 30-Dec. 1, which is a new Las Vegas show bringing together established tribute artists Gary Anthony as Frank Sinatra, Justin Shandor as Elvis Presley, and Rob Garrett as Neil Diamond. This will be a special holiday edition. Corrie Sachs will headline “Christmas With Reba” on Saturday, Dec. 8 and she’s as cute as the real McEntire. On Friday, Dec. 14 will be “Another Journey” Tribute to Journey. “An Evening with Dean & Friends” starring Tom Stevens will be on Saturday, Dec. 22. Stevens is an impersonator who will pay tribute to many notable celebs from Perry Como to former President Clinton. On Friday, Dec. 7, it will be a departure with the Comedy Machine bringing together three comedians: Brian Kiley, Beny Mena and Janice Remland. The year in Mesquite will close out with a 9 p.m. show on Monday, Dec. 31 “Vegas Limit & DJ Jimmy Z.” This bash will have the DJ spinning whatever music is requested. VEGAS VALLEY WINERY HOLDS SIP & SHOP EVENTS: If you’re a frequent visitor to Las Vegas, you might enjoy attending a local activity in the area. The relatively new Vegas Valley Winery at 7360 Eastgate Rd, Ste 123, in Henderson has a couple Sip & Shop events planned. On Sunday, Dec. 9 from noon to 5 p.m. will be a family-friendly shopping gift, craft and vendor fair. On Sunday, Dec. 16 from 3 to 6 p.m. will be Fine Art Sip & Shop with artists featuring varied works from canvases to art glass and more. Both events are free to the public. FASHION COUNCIL AND MAX PAWN HOST CHARITY SHOPPING EVENT: The Las Vegas Fashion Council (LVFC) is partnering with World Famous Max Pawn at 6040 West Sahara Ave. to host a charity shopping event to kick off their third annual clothing drive running Nov. 29 through Dec. 21 benefitting Nevada Partnership for Homeless Youth (NPHY). For the clothing drive, needed items are for young women and men ages 12-25 plus blankets and gift cards for food and clothing. On Thursday, Nov. 29 from 5-8 p.m., guests can holiday shop, enjoy festive food and refreshments and browse through Max Pawn’s luxury designer brands. A percentage of sales from the event will benefit the LVFC’s scholarship luxury fund. HOLIDAY BLOCK PARTY TO HELP HOMELESS YOUTH: The nonprofit Nevada Partnership for Homeless Youth (NPHY) is collecting items through Monday, Dec. 10 for the area’s homeless youth of which there are far too many. 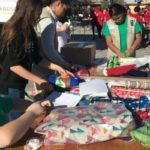 The public component of the NPHY Holiday Giving Campaign will culminate with the 3rd Annual “It’s a Wrap” Holiday Block Party at the NPHY Drop-In Center, located at 4981 Shirley Street near UNLV, on Saturday, Dec. 15 from 9 a.m. to 5 p.m. Participants will sort and wrap presents for homeless youth and create holiday gift cards. Festivities include a gingerbread house contest, photo booth, DJ, games, raffles, giveaways, and hot cocoa. To view the wish list and RSVP for the “It’s a Wrap” party, visit NPHY’s website or call 702-383-1332.